When it comes to heels that can withstand our busy days, we fashion editors are not easy to please. They need to be comfortable, walkable (and in some cases driveable), and, of course, cool and on trend. 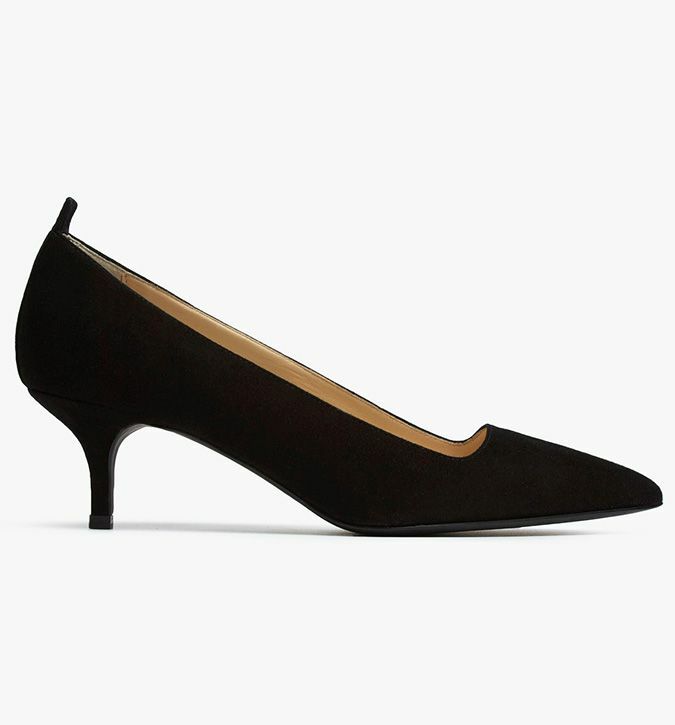 But lucky for us, Everlane gets us—its newest shoe release is a chic kitten-heel pump style, fittingly called The Editor Heel. Everlane's Editor Heels feature two-inch heels, Italian suede that molds to your foot (and has cleverly been treated with suede protectant), flattering pointed toes, and sporty details like a pull tab. 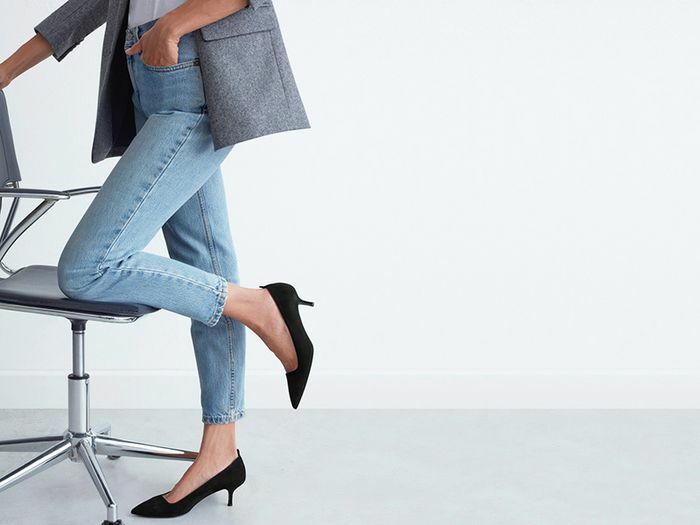 We've been smitten with the kitten-heel trend as of late, especially when paired with jeans of any style (but we're partial to a straight-leg vintage-wash pair with the trend, just as Everlane is), and this comfortable, versatile pump is destined to be our new go-to work heel. If you've been considering trying the kitten-heel trend but aren't totally sold on it, take comfort in the fact that the brand states they're "a cooler take on the kitten heel." Shop Everlane's new Editor Heels in every color below! Next, check out the comfortable ankle boots this editor has been wearing for years.